Mountain views - Virtual Tour - Country homes for sale in Piemonte Italy. from Piedmont Property. 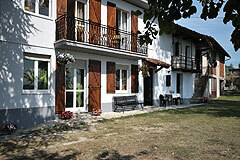 Property ref: 6504, Country homes for sale in Piemonte Italy. - Traditional Farmhouse incorporating, guest apartments, farmhouse and barn for restoration.